Not to be confused with KEN, a Japanese SSB4 Sonic player. Ken Hoang, also referred to as just Ken, SephirothKen, or The King of Smash, is an American professional smasher of Vietnamese descent who mains Marth, ever since his debut in Tournament Go 4. He is Manacloud's younger brother. Well known for being the World Champion of Super Smash Bros. Melee during his prime, Ken was officially ranked the best Super Smash Bros. Melee player in America during his heyday, being a two-time national champion of Major League Gaming, two-time winner of Tournament Go and winning many other notable tournaments, and was also widely regarded as the best player in the world, having defeated reputable players from around the globe, including top Japanese players such as Captain Jack, Masashi, Aniki, Bombsoldier, and Korius in the summer of 2005. Ken was considered the most consistent player during his prime, earning over $50,000 USD throughout his entire career, and had the most impressive tournament track record earning him the nickname "The King of Smash" within the community. Aside from his personal achievements, Ken is a former member of El Chocolate Diablo, which was the top-ranking doubles team, and a member of the Socal Elite 4. Ken is also notable for innovating a highly influential combo named after him. Ken is also notable for having fame outside of the Smash games. In September 2006, Ken was nominated as one of five members of "The Dangerous Five" by Electronic Gaming Monthly; he was notable as being one of only two gamers on the list who did not specialise in the Halo games, alongside Michael Brandt, who played Tekken. Ken was referred to as "The Duper", due to his quick, smart, and aggressive playstyle. Additionally, Ken managed to land a spot as a contestant on the 17th season of Survivor; in the final standings, he won fifth place. As of present days, Ken is currently on a semi-active state, only entering major tournaments, though he still places decent in them, for instance placing 49th at EVO 2017. World Champion Ken (left, holding two trophies) with a check for $5000. Ken started playing Super Smash Bros. when it was released for the Nintendo 64. He made his gamertag "sephirothken" after the main villain of Final Fantasy VII. He was able to learn the ropes of Smash quickly and became fluent in its gameplay. However, he was never able to compete in major tournaments for it due to the lack of a competitive scene. When Melee was released for the Gamecube, Ken initially did not enjoy it, but the game grew on him after a period of a few months. By the time he attended his first tournament, he had already built up an impressive reputation in his town as the best Smash player. This tournament, hosted at a local gaming store known as Game Square, employed completely different rules from today's standardized rules. It was a free-for-all tournament, and everybody else teamed up against Ken because he was considered the best. Despite the combined efforts of the other participants, however, Ken still ended up winning the tournament. In 2002, a moderator on SmashBoards by the handle of Matt Deezie hosted the Tournament Go (TG series), which was one of the first lines of major tournaments. Up to that point, there had been three installments in the TG series, with each new incarnation being more popular than the last. Recipherus, a Sheik main, was the favorite to win the fourth installment that would come in early 2003. However, interests turned as Matt Deezie read posts by Ken, who boasted that he was unbeatable at Melee due to his tournament win at Game Square. Matt Deezie and Recipherus challenged Ken to a $200 money match, and while the two competitive smashers were more versed in advanced, technical aspects of the game, Ken was more adept in adaptation, and defeated the duo. After the money match, Ken learned of the Tournament Go series, and planned to travel to Northern California to claim his first major tournament win. 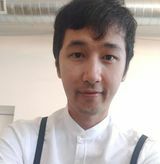 Ken later attended Tournament Go 4, where even with his lack of experience in any strong competitive scene, he managed to defeat players who had attended previous TGs and take first out of a record 89 players at that time. He also placed second in teams with his brother Manacloud, losing to TG1 and TG2 singles winners J.R. Castillo and Justin Junio. 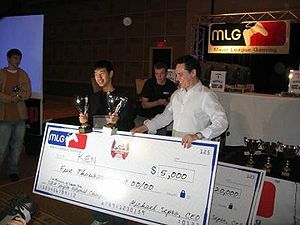 Seven months later, in August 2003, Ken attended and won TG5. This was the first tournament where he teamed with Isai for doubles (otherwise known as "Malva00"), who was considered one of the best Melee players in the country in his prime. Their victory in the doubles tournament started a two-and-a-half year winning streak. They won every doubles tournament they entered until MLG Chicago 2006 in July, where they were defeated by Azen and Chillindude829 in the finals and received second place. However, they reclaimed their title later that year in August at MLG Orlando 2006 where they defeated Azen and Chillindude829 6-3 in the finals. For the next two years, Ken continued to win nearly every competition he entered. The worst loss he ever garnered in this timespan was in August 2004 at TG6 where he placed 9th out of approximately 128 competitors. After that, he did not place below 2nd until MLG Orlando 2006 in August where he placed 5th and then MLG New York Playoffs 2006 where he placed 7th, and in teams he got 3rd teaming with Isai making it his all-time low in singles and doubles at MLG events. Ken briefly joined the tournament scene for Brawl, with respectable standings, including a second place finish at EVO 2008. EVO 2008, however, proved to be his last Brawl tournament; his AllisBrawl profile listed him as inactive, and in a Q&A session with ESPN, Ken stated that he needed "a big break from gaming", and that he needed to pursue his career in illustration. Ken, however, also suggested that there existed a potential for him in joining the Brawl tournament scene if it got picked up by the MLG again. Several years later in 2010 MLG did have Brawl on its Pro Circuit, though Ken did not participate. After five years away from competitive Smash, Ken temporarily chose to rejoin the scene in the 2012 tournament of Kings of Cali. In his return to Melee, however, Ken underperformed in singles, getting a 33rd place finish. His doubles run, however, ended in a third place finish with Dr. Peepee, and he provided the deciding KO in the NorCal - Socal 8 on 8 battle against PewPewU; Ken was initially not supposed to appear in the battle for SoCal, but a six stock lead by his team caused team captain Mango to switch out Lucky for him. Although still no longer as active in the Melee scene as before, Ken has made a handful of appearances since Kings of Cali; while unable to continue his previously dominant standings from the past, Ken continues to be seen in the top 64 of finalists in singles sets, along with solid doubles standings. On March 18th, 2014, Team Liquid, an eSports team in the Netherlands famous for its StarCraft II and Dota 2 teams, opened a Melee team and signed Ken and KoreanDJ as its first members, with The Smash Brothers director Samox producing Team Liquid's official announcement video. He was also invited to participate in the E3 2014-held Super Smash Bros. Invitational tournament to play Super Smash Bros. for Wii U. He used Marth in the tournament. In 2014, Ken made a resurgence in many tournaments, including EVO 2014, MLG Anaheim 2014, SSS Lock-In, SKTAR 3, CEO 2014 and Kings of Cali 4. In each, he has finished with decent placing, as well as holding set wins over the likes of MacD, Lucky, Westballz, DEHF, Bizzarro Flame, Fly Amanita and more, with close set losses and game wins against the likes of S2J, fellow top Marth mains The Moon and PewPewU, and even one of the world's best Armada at CEO. He also regularly attended Super Smash Sundays throughout the year, consistently placing top 8 or 9th place in singles and Top 8 in doubles. At EVO 2015, Ken unexpectedly placed 13th, marking his highest placement at a major tournament since Super Champ Combo in 2007. Ken is one of the four Marth players that has been able to take a set off of Fly Amanita's Ice Climbers in tournament, with the others being PewPewU, The Moon, and Azen. Ken appeared in the Guinness World Records 2016 Gamer’s Edition for highest-earning Super Smash Bros. Melee player, despite Armada, Mew2King, Mango and Hungrybox earning more than him. Ken is known to have coined the terms "Wobbling" and "JV". ↑ Liquid Super Smash Bros. Melee - Written Announcement by Liquid'Nazgul & Forum Discussion TeamLiquid.net. This page was last edited on March 21, 2019, at 12:08.